View SW from NE corner of site. A damp drizzly day, but certainly not enough to stop our diggers! 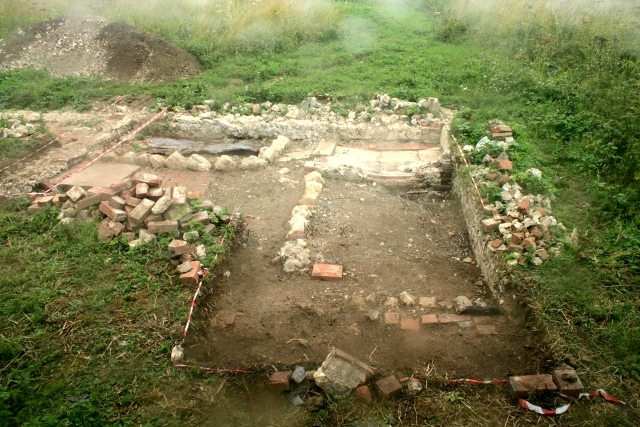 View to N of path to garden gate. View E from toilet at path turning to front garden gate. View S of garden path from garden gate. 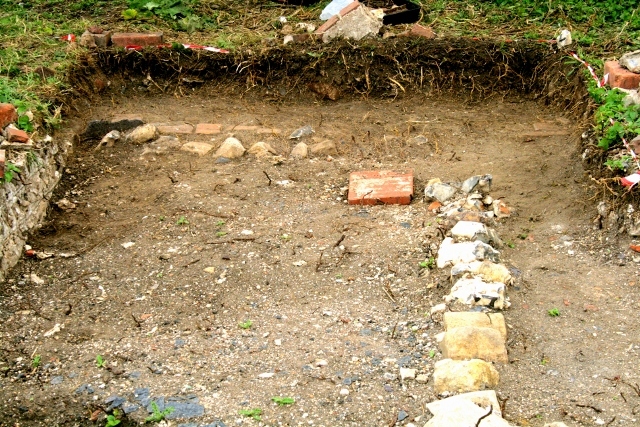 We have now succeeded in uncovering & cleaning up all but the far east side of the path to the front gateway. View NNE from near front door towards front garden gate. As the path approached the gateway, so it rose in height to meet the higher ground level outside the wall relative to the lower level of the front garden to its south & west. The edging stones on its western side were much smaller than elsewhere. 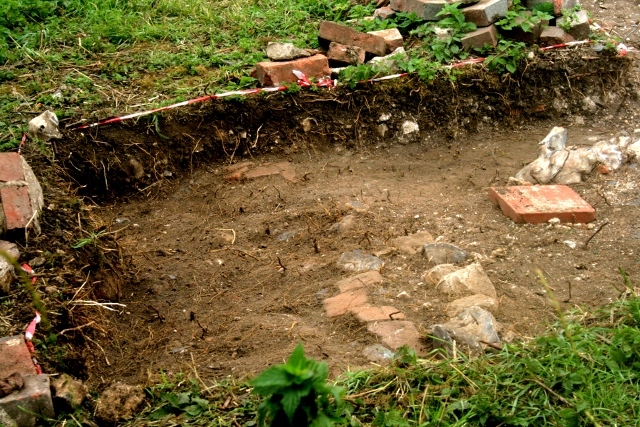 Just inside of these stones were small areas of brick paving, but the centre of the path was of a compacted earth – the surface of which contained most of our finds. 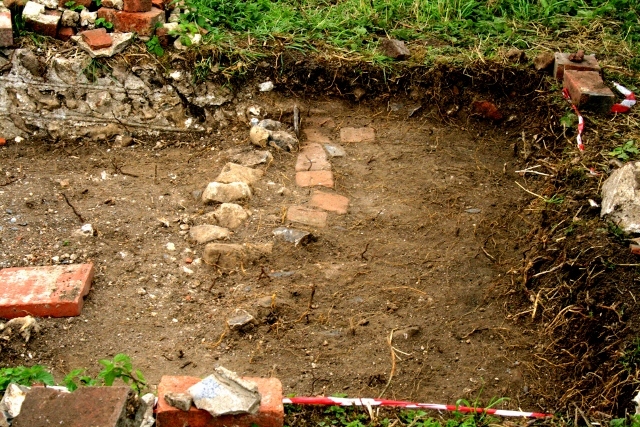 Finds were not as plentiful as in adjacent grid squares, apart from perhaps nails and fragments of bottle glass, but quality is always better than quantity! 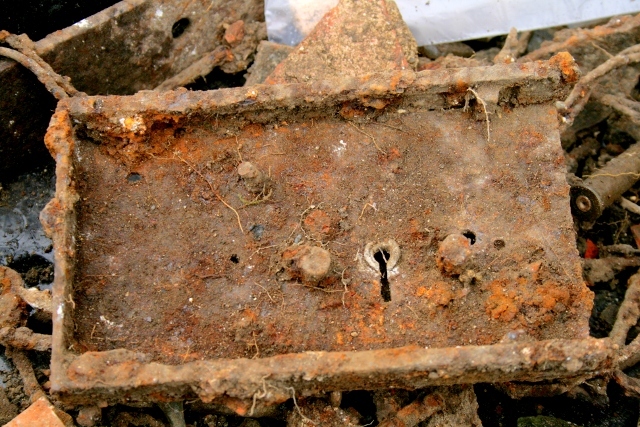 The outer plate of a simple mortice lock was our best find – possibly from the wood shed built into the east side of the cottage & whose door was almost opposite the front gate. Close up of decorated pipe stem. 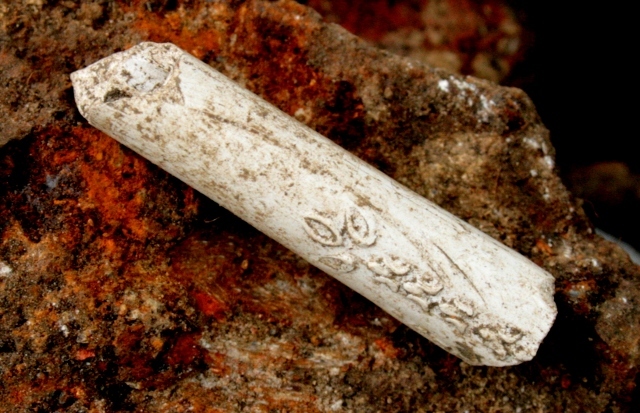 A short length of 19th c. clay pipe stem with a decorative leaf design was similar to, or even the same as, that of 2 or 3 others found previously. Platform and bulb of percussion of stone age flint scraper. 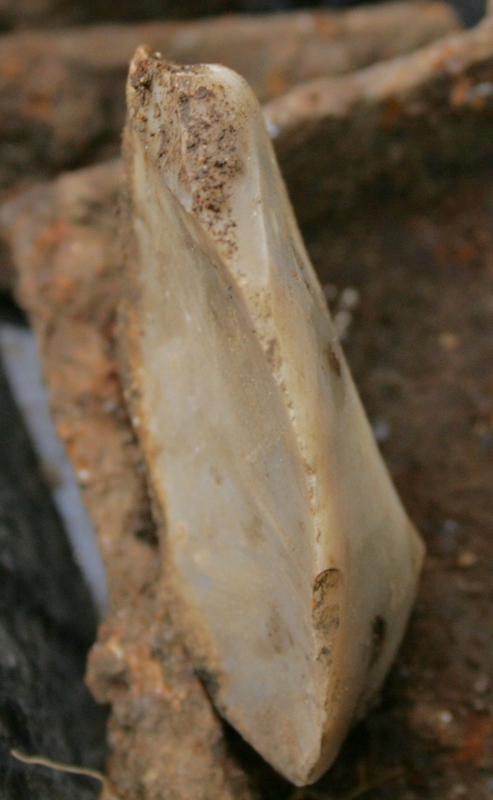 Working edge of flint scraper. 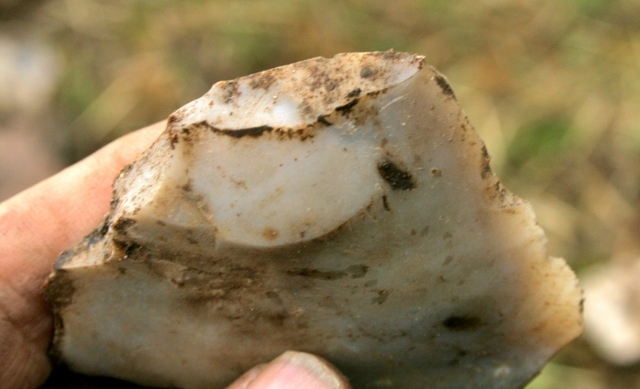 Flint scraper showing secondary working and minor wear and tear. 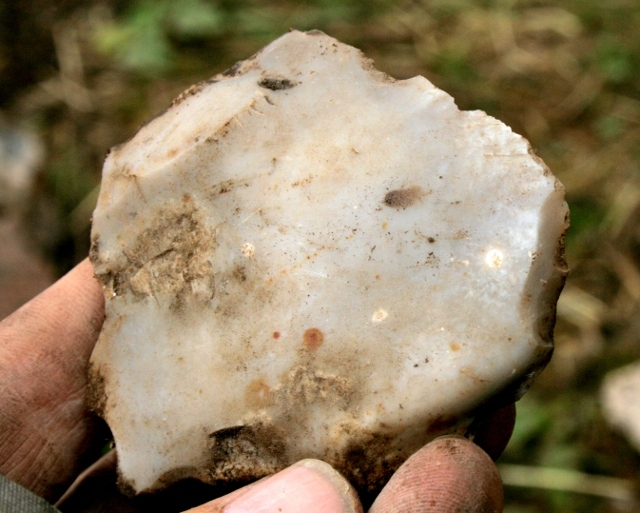 Oldest of all was a nice medium sized flint scraper – Bronze age or Neolithic. 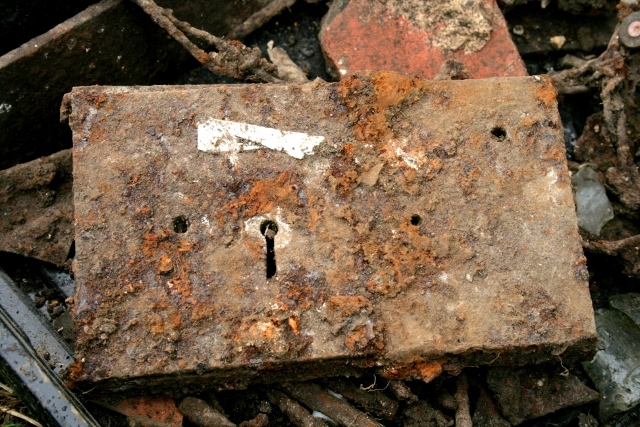 For those who prefer more modern history there were also the, by now almost inevitable, WW2 finds. 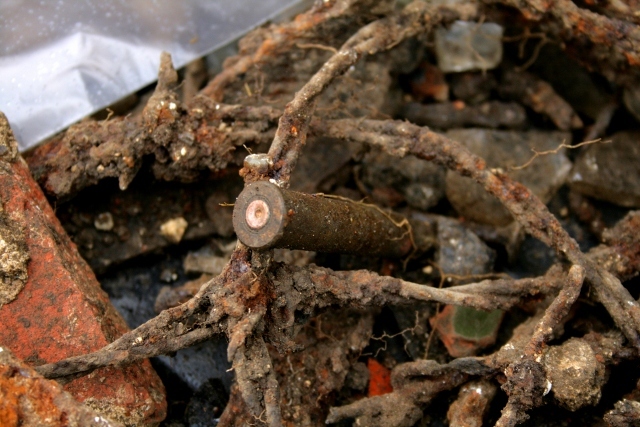 We found .303 rifle cartridges (circular firing pin indent), smaller callibre pistol cartridges and a length of barbed wire. Why not join us? 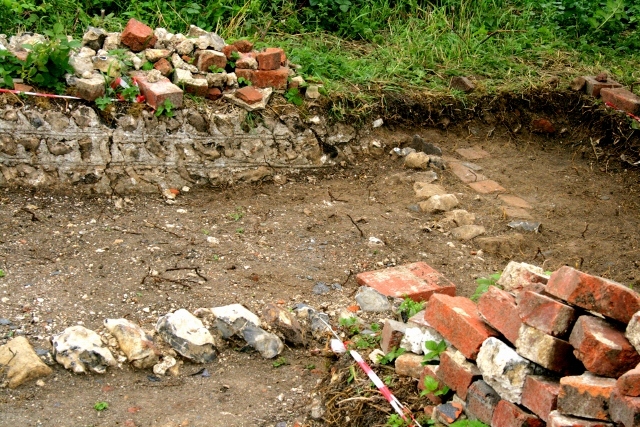 We dig Fridays & Sundays, 10am – 4pm, and meet at the car park near the junction of Bexhill Rd & Falmer Rd. No experience necessary. Weather permitting! 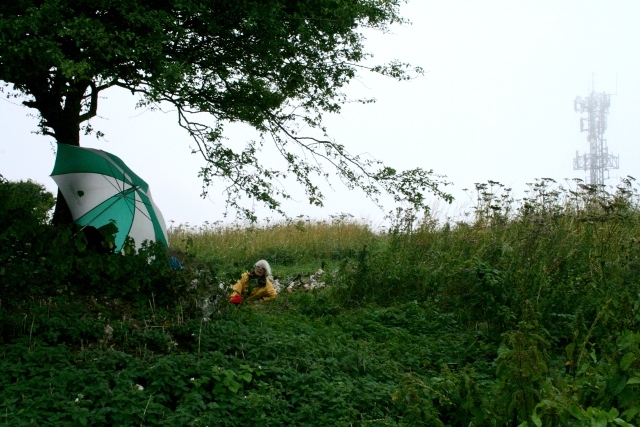 Looking W across excavated area N of house from bulldozed rubble mound – in the rain!